Recent searches: De Vulgari Eloquentia, Godzilla: Stomp! A civilization building card game with funny art and a fun twist that plays in an hour - what's not to like? 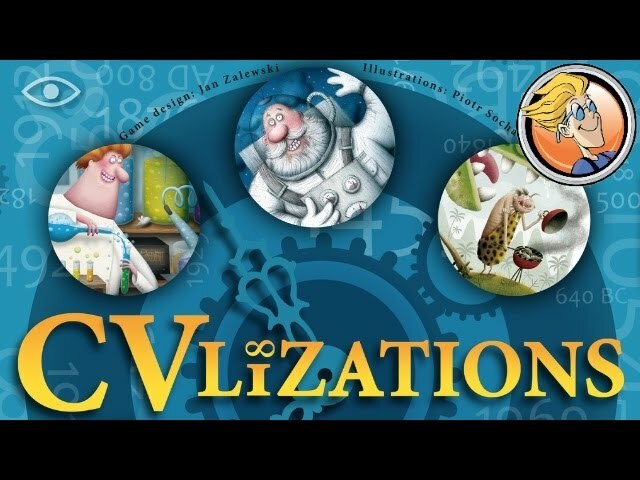 CVlizations lets you develop ideas such as Rational Thought, Gunpowder, and Feline Domestication - all while competing against your friends for resources, improving the happiness of your CVlization, and trying not to be too obvious with your play. Play cards face up AND face down to confuse your opponents, but be careful to not choose the same cards, as doing so can cause you to waste actions. Buy CVlizations if you want a quick trip through human history with great humor and fun play.